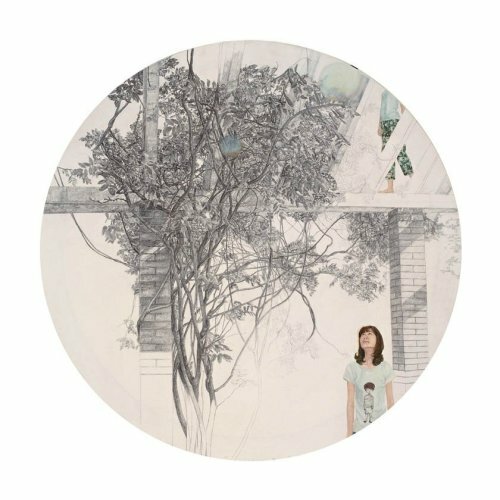 Fu Yingying’s refined, delicate and feminine works are characterised by pencil and oil painting on canvas or on board. 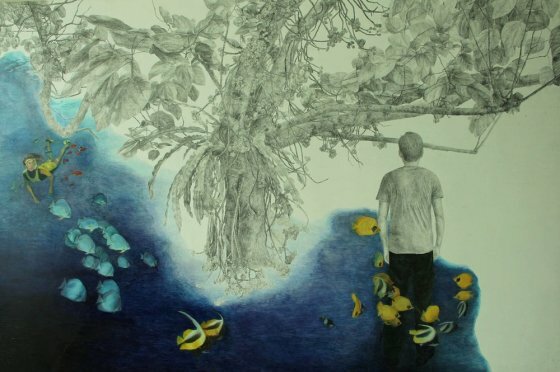 Inspired by her personal experiences and her living environment, her depiction of scenes perfectly captures the essence of time and the relationship between various still life moments in her oeuvre. 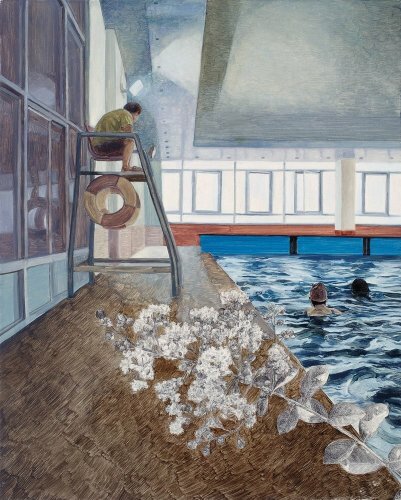 Her portrayals are often based on her everyday life encounters and thus looking into the artist’s works is akin to a glimpse into her everyday life. 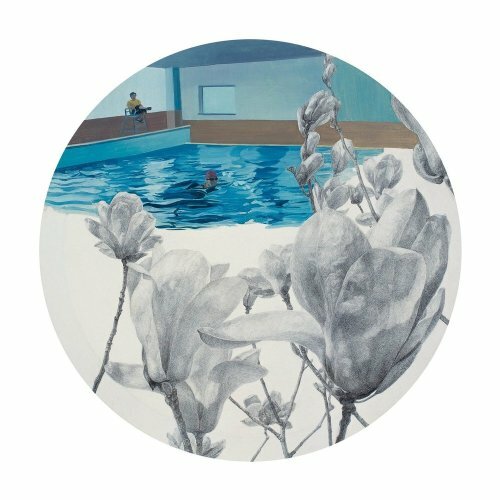 Fu Yingying’s works centre on her campus life, whilst as an avid swimmer, swimming scenes often take the centre stage in her work. 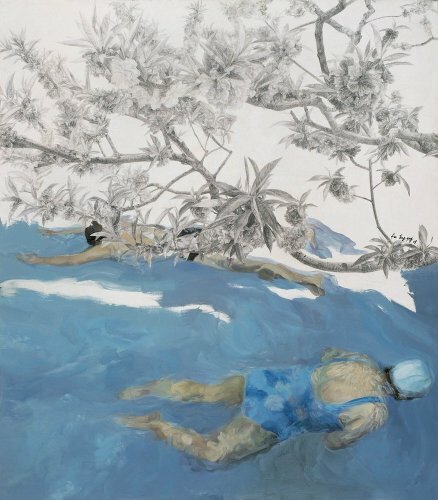 The crystal blue hued swimming scenes in the Encounter Series (2009-2010) juxtaposed with intrusions of delicate black and white pencil drawings of plants and branches remind us of the clashing of different phases in time. 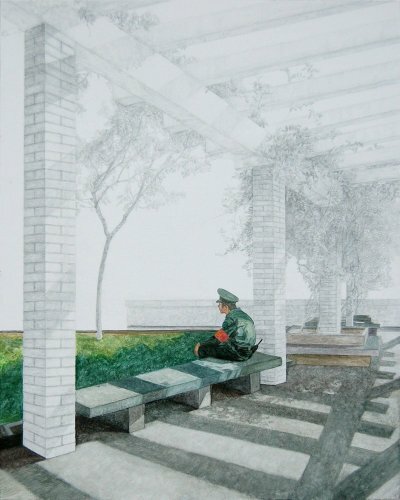 The cracking intrusion of the penciled plants into the crystal-like imagery of Fu Yingying’s oeuvre strikes a symmetrical balance within the composition while achieving a sense of frozen reality and stillness of time.